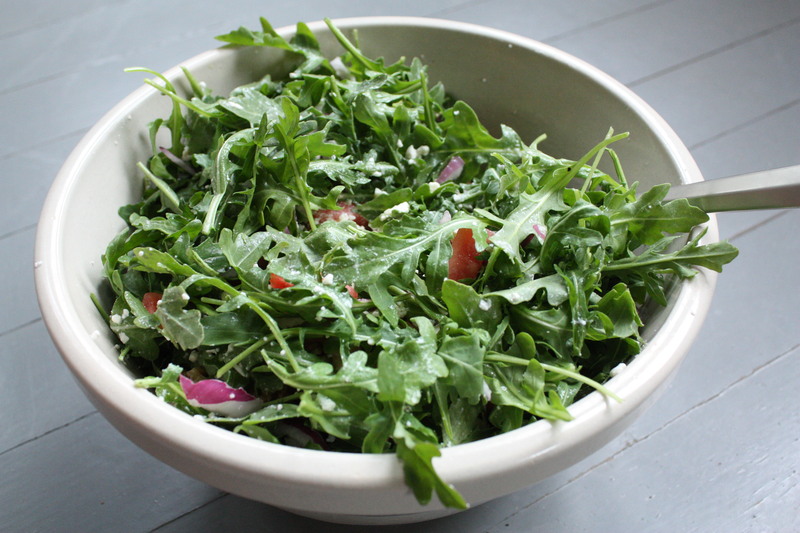 I apologize for the long recipe title, but let it be known that all four ingredients play a major, tantalizing part in this salad. 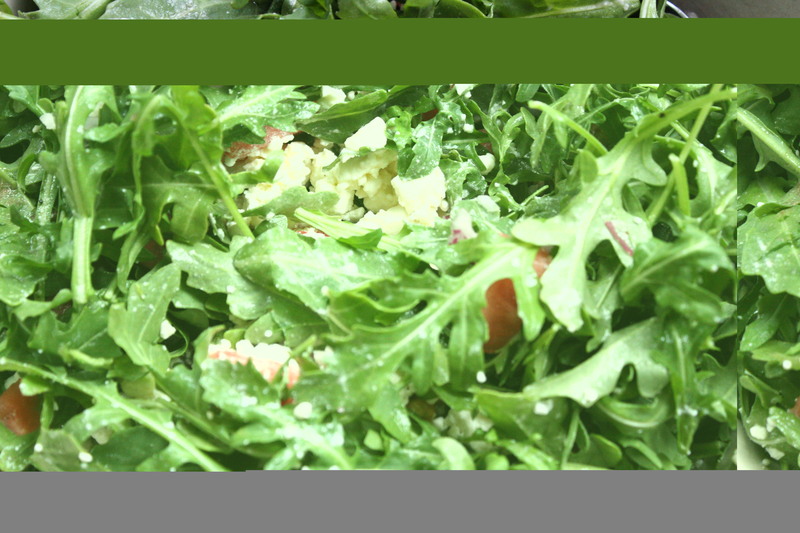 A bit of spice from the arugula, some tang and saltiness from the feta, sweetness and texture from the melon, and a smidgen of crunch from walnuts is why this salad truly hits the spot. Whisk vinegar, oil, salt and pepper in small bowl. 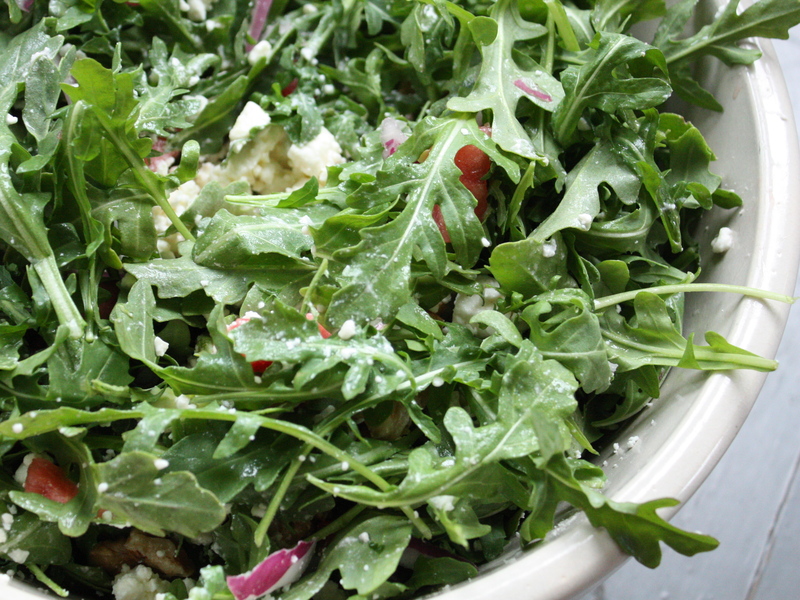 In separate large bowl, toss arugula, onion, melon, feta, and nuts. Dress the salad and serve.